KABUL — In a country where Western accusations of corruption have been lobbed at high-ranking officials and public institutions, the malfeasance that drives Afghans against their own government happens every day on a much smaller scale. Forget special investigations and glossy reports on misspent funds and insider dealings, many Afghans say. Try renewing your driver’s license. Afghanistan’s traffic department might be the most bloated of the country’s nascent bureaucracies. Want a vehicle registration? You’ll need 27 separate signatures. A new driver’s license? You’ll need about a dozen stamps from ministries, agencies and banks. Those processes are so painstaking and time-consuming that an entire underworld has emerged to bribe public officials into expediting traffic documents. It’s corruption in $30 or $40 bites — far from the millions allegedly stolen here every year. But those small bribes shape the way many Afghans think about their country’s experiment in democracy. When complaining about corruption, many Afghans say that despite the horrors of the Taliban regime, there was less graft under its government. At a time when the United States is starting to withdraw tens of thousands of troops, a process President Obama highlighted in last week’s State of the Union speech, some Afghans say the return of Taliban rule would at least yield a more honest crop of government officials. Munir, a 37-year-old former police officer, stood last week in front of the traffic department, railing against corruption and malfeasance. The Afghan government has never been so paralyzed by greed and crime, he said. “The system is broken,” he said. He sounded like thousands of Afghans whose experiences with corrupt officials have left them dispirited. Except Munir, who like many Afghans uses only one name, admitted that he is part of the dysfunction. Every morning, he takes a pile of clients’ license and registration applications to contacts at the traffic department. He slips the officials between $10 and $20, and a document that could take weeks to obtain is finalized in a fraction of the time. Munir pockets between $20 and $40. This is how he makes $10,000 a year, twice what he earned as a police officer. But his job comes with the awareness that he is now a part of what is broken. Munir is one of the “dealers” who work in ministries across Afghanistan, expediting what can be exasperating bureaucratic processes, such as paying taxes and securing business licenses and other documentation. In a country far more modern than it was 10 years ago — with more drivers and more businesses — there’s also more room for graft. Last year, according to a report released this month by the United Nations and the Afghan government’s anti-graft agency, half of Afghan adults paid bribes while requesting public services, and together those Afghans handed over a total of $3.9 billion. That figure is twice as large as Afghanistan’s domestic revenue, the report said. 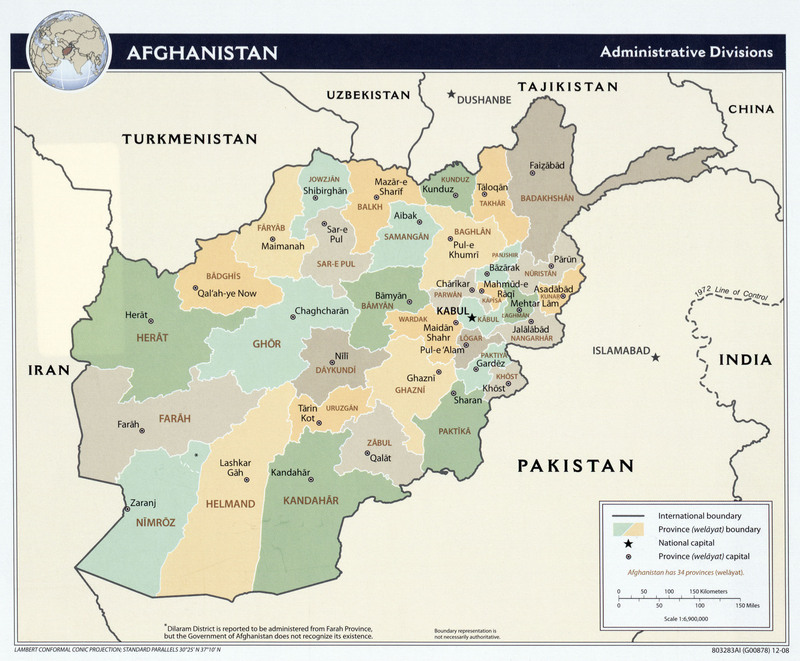 With average annual income in Afghanistan standing at less than $1,000, many cannot afford to pay bribes. At the traffic department, where between 1,000 and 2,000 people come every day, a line of men attempting to renew their licenses and registrations without bribes forms next to the line of dealers. Those in the legitimate line are forced to put up with days or weeks of waiting and watching as dealers slip ahead of them. “We don’t have the money to pay anyone, so we wait and wait on our own,” said Abdul Basir, who had spent 10 days in line to renew his vehicle registration. “It’s like links in a chain. One person accepts bribes to make enough money to bribe someone else. This is Afghanistan,” said Sher Mohammed, who waited for more than a week to renew his driver’s license. At the traffic department, whose red-tape hurdles have earned it a popular reputation as the most bribe-sucking government office, about 200 dealers spend their days greasing officials’ palms. Some clients get dealers’ phone numbers from friends and relatives. Others simply approach them outside the department, hand them forms and cash, and disappear. The dealers then make their way inside the sprawling department to the offices of their contacts. Many administrative employees in Afghanistan, including at the traffic department, are said to have paid for their positions — an investment that is recouped by accepting dozens of bribes orchestrated largely through dealers. Munir’s connections were passed down from his uncle, who worked at the traffic department for more than a decade. He learned whom to bribe, how much to pay and how much to charge for the service. Criticism of the Afghan government is often articulated in terms of what people here call “petty corruption.” Accusations of multimillion-dollar graft involving ministers and governors occasionally grab local headlines, but for many, those stories are less personal and less offensive. President Hamid Karzai has long been a public critic of corruption, despite the many accusations pinned on his government. In recent speeches, he has blamed Western donors for exacerbating the problem by putting money in the wrong hands. Even within ministries, views differ on how to deal with the practice of granular corruption — the kind of bribery that corrodes public confidence. “I’ve made it a top priority to arrest all of the dealers,” said Alhaj Nizamudin Badkhan, the head of the country’s traffic department, who said he has sent 20 dealers to prison. But in an office just down the hall is Gen. Asadullah, the director of the Kabul traffic department, who said he saw it differently. “The dealers pose no problem. What they do is legal,” said Asadullah, who uses only one name. Munir treats his position in Kabul’s illicit economy the same way he did his job in the police force. He works at least five days a week. He prides himself on being effective — in this case, by turning around documents as quickly as he can. But he knows how he is viewed by many of the people in line, who endure the arduous process of obtaining driver’s licenses and automobile registrations legally.